There is a reason for concern when weaning young bunny rabbits or purchasing them. Rabbits age 3 weeks to 10 weeks are at an elevated risk for bunny diarrhea which can be fatal. It just so happens that weaning falls in this time period. It is tempting, then, to assume that weaning causes bunnies to die of diarrhea. But not so – it is the stress at weaning which, if not handled wisely, can upset the bunny's digestive processes and result in a bunny’s death. And since death from diarrhea can strike at any age, including before weaning and up to and throughout adulthood, let's take another look at bunny weaning worries. Why should we care about a confused post on Craigslist? 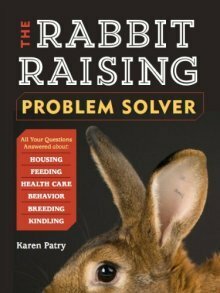 Because the opinions of the poster seem to be widespread across the worldwide web, and because Raising-Rabbits exists to help present the truth about raising rabbits. "Please, PLEASE! Be sure to ask the age! Bunny's [sic] sold before the age of 6 weeks will usually die due to lack of milk and their body not processing food (they get diarrhea) also called Enteritis. Do your research (https://www.raising-rabbits.com/rabbit-diarrhea.html) before buying a bunny and watching it suffer until death. An honest rabbitry will not knowingly sell a rabbit before 8 weeks of age because does not have a good chance of survival. 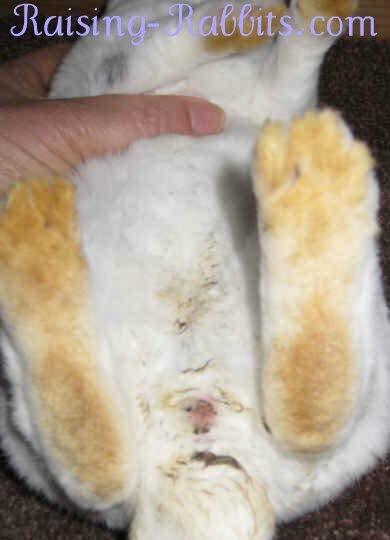 Once a rabbit gets Diarrhea it is hard to save and usually considered gone. There is a reason for a weaning age! IT IS THE LAW a bunny is NOT sold before 8 weeks of age!!! "I have seen bunny rabbits before the age of 8 weeks all over Craigslist lately. Just because someone says they are weaned does not mean they are of correct age! Many will selfishly sell rabbits before weaning age because they are "CUTE" at that age and sell quickly but only to doom them for death in the end. Even at 8 weeks some bunnies are not ready to be weaned. Look for diarrhea on the bottom to see if bunny's [sic] are truly ready to be weaned." I can certainly see that the poster believes what s/he wrote, but I see a twofold problem. First, the post is nowhere near accurate, and second, the poster is a bully. The post is representative of the online bullying that frequently occurs when opinions or situations arise that are caddywampus to one's own personal opinion. In this case, the poster took umbrage at rabbits being sold for pets before s/he thought they should be sold. Unfortunately, s/he didn't have a clue but couldn't restrain her/himself from bashing readers with misinformation and a threatening attitude. Death due to lack of milk? No. Bunnies are fully capable of feeding themselves without mother’s milk by age 4 weeks as long as you provide them with healthy feed (and no sugary treats). 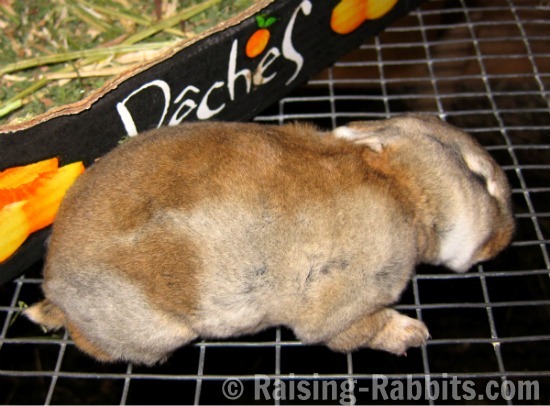 “Will usually die…?” Nope, not true, at least not among experienced rabbit breeders. Selling a weaned bunny younger than 6 weeks old does not by itself doom a bunny to death. 100% of bunnies are physiologically weaned by 4-4.5 weeks of age. Weaning worries do not stem from a lack of food or a failure to process the food. They stem from STRESS. Stress has the capacity to cause dysbiosis (bloom of disease-causing bacteria) in rabbits of any age. Dysbiosis can produce enterotoxemia and then death if severe. If the stress can be minimized, the bunny is far less likely to get sick. An experienced breeder recognizes the stress to a bunny that occurs at weaning and at the point of sale, and doesn’t combine these two events on purpose if it can be helped. THIS is the key to excellent post-weaning survival rates. The honest rabbit breeder knows better than to believe that 8 weeks is a magical age after which a rabbit is immune to death. This 2.5 week old unweaned rabbit went from healthy to dead in 12 hours. Weaning worries were not a factor in its death. "Once a rabbit gets diarrhea it is hard to save..." So much depends on the kind and the severity of the diarrhea. If you're feeding tons of sweet apples and bananas and yogurt treats every day to your recently weaned baby rabbit and it dies, don't blame its death on weaning. Pictured: This bunny was not salvageable, and in fact died before showing any symptoms at all. This is a typical scenario when pre-weaned bunnies succumb, which thankfully happens only rarely. If I were to guess at causes, I'd say this case of dysbiosis and enterotoxemia might have resulted from recent first exposure to solid foods, coupled with excessive mother's milk consumption, given that it was one of a litter of only two bunnies. This is of course just a guess. If you can catch the diarrhea before the bunny dies, and if you stop the sweet treats and give it some grass hay, chances are great its droppings will miraculously normalize. It's less about the laws, and more about excellent animal husbandry practices. Wise stress management will help minimize weaning worries and bunny deaths, even when bunnies are sold under 8 weeks of age. Every single baby rabbit alive at 8 weeks of age has already been physiologically weaned and is capable of surviving without its dam. 100% of them. Even if the litter is still in the cage with the dam getting occasional milk snacks (the poor doe is probably frustrated as all heck with the bunnies after 8 weeks with them). Whether a person recognizes this or not is in question. There is nothing magical about the age of 8 weeks. A possible susceptibility to diarrhea exists up until the age of 10 weeks generally, and to some degree into adulthood as well. If you see signs of old loose droppings on the bunny’s bottom, I would consider this a good thing, as long as the evidence was clearly old evidence. This would mean the kit’s intestinal flora have become balanced and the danger has already passed. And in fact, the danger can pass as early as 5 weeks of age. At right: This 5-week-old kit shows the remnants of a mild bunny diarrhea. It was not physically weaned at the time. This kit never showed any signs of illness and never experienced any loose stools later. It is impractical to lay down dogmatic rules about when you can and cannot wean and/or sell baby rabbits. It is far better to understand exactly WHY a rabbit might get diarrhea after weaning and to prevent it as much as is possible through excellent rabbit husbandry practices. The point is not to see how early one can wean, but to identify the biological realities of weaning rabbits in order to establish best practices and to allay any unfounded weaning worries.